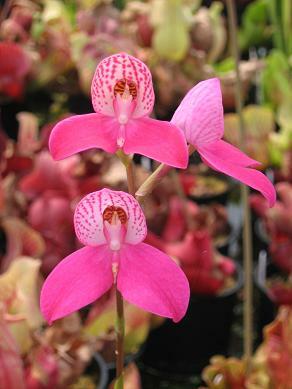 Disa uniflora x Disa Kewensis. A very early grex raised at Kew and registered in 1900. 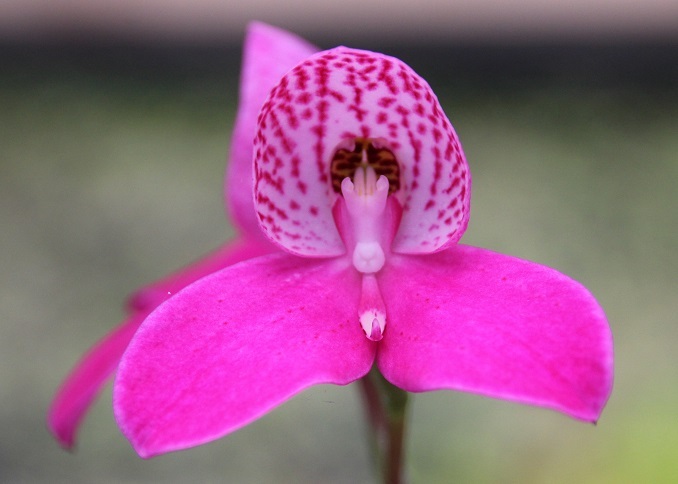 An unnamed seedling of the hybrid with good pink flowers. 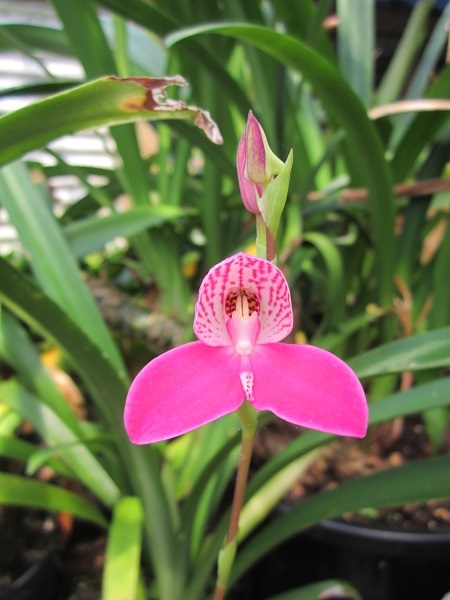 Disa uniflora x D. (uniflora x tripetaloides). A vigorous hybrid, the flower shape has been improved by the back-cross to D.uniflora without reducing the number of flowers on the stem.